Thanks to the unexpected consequences of a snowfall before Christmas, I’ve fallen way behind on my blog. Who knew that snow and internet don’t mix? Our snow felled an overhead cable, cutting off our broadband and phone line for nearly a week. This crisis was resolved only when a team of engineers dug up the road to fix it. I’m still not sure how snow affected subterranean cables, but so pathetically grateful was I to have the service restored that I was not about to query their methods. Snow and ice also took out our Sky TV. The satellite dish was covered in snow and ice, and Sky’s technical advice when this happens is simply to wait for the thaw. After that, I allowed real life to take over from the internet (well, it was Christmas), so I’m now starting my new blogging year already way behind. I haven’t even got round yet to sharing here the monthly columns I write for two local magazines, the Hawkesbury Parish News and the Tetbury Advertiser, and the guest posts I write on the 30th of every month for the Authors Electric collective. I’m torn: I like to share all those things on here not only so that I have a central record of all my writing, but also because many of you tell me they enjoy reading the columns, because they give insight into life in the rural community that has inspired my Sophie Sayers Village Mysteries, and the Authors Electric post because it’s always about my writing. But I don’t want to bombard my readers with a string of belated posts. If you have a particular question to ask about my writing life, don’t hesitate to ask, and I’ll add it to my list of blog post ideas for 2018. Wishing you a very happy New Year full of peace, joy, love, health, fulfillment and great books! Most authors at some point in their writing lives will come across the advice that there are ONLY SEVEN BASIC PLOTS – or maybe nine, or thirty-six, or various other numbers, depending on whom you consult. Those who can’t even see the glass are probably best advised to throw down their pen and take up golf instead. The BEST thing to do is, of course, to take your choice of basic plot and wrap around it your choice your characters, themes, setting, etc etc to produce a final story that only you could write. I took as my starting point for my latest cosy mystery novel, Murder in the Manger, one of the oldest stories in modern culture, the nativity. Sophie Sayers, the central character in this series, writes her own version of the classic Bible nativity story for the village primary school and local amateur dramatic association in the Cotswold village of Wendlebury Barrow, to which she’s recently moved. The performance of her script is a story-within-a-story, or rather a play-within-a-play (yes, Shakespeare got there before me on that too, with the “rude mechanicals” in A Midsummer Night’s Dream). It’s a plot device which complements the themes of transformation and restoration that are wrapped around it in the novel’s main plot and various subplots. Sophie’s telling of the nativity includes a lot of humour, including in-jokes for the villagers, (the Innkeeper is the school admissions officer, for example), without ever being disrespectful of the Bible story or offensive to believers. 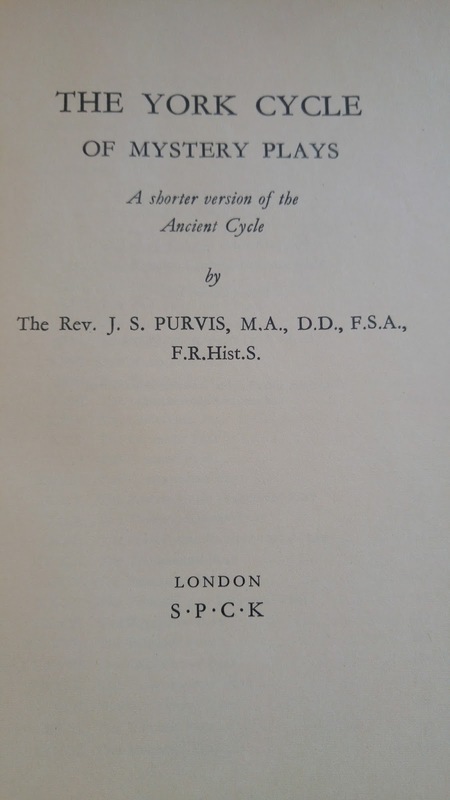 At the end, the vicar even compliments her on making the story more accessible to the audience than a more erudite approach such as the medieval mystery plays, which also get a mention in the story. You’re on to a winner, no matter what. No-one can complain that the plot is flawed, or that they can’t work out which character is which, or what their motivation is. Your audience will be determined to enjoy it, come what may. They’ll mostly be related to someone in the cast, so they’ll be willing the production to succeed. You don’t have to worry about technical hitches, because you’re not using any technology – no lights, no microphones, no recordings. What could possibly go wrong? Of course, this being Wendlebury Barrow, things do go wrong – and by the end of the first chapter, the whole congregation gathered to watch the play is accused of murder by a mysterious stranger. And into three dimensions… Not far from where I live, St John’s Church in Chipping Sodbury has just started its annual Crib Festival, which each Advent displays over a hundred different models of the stable scene, contributed by all kinds of people from toddlers to professional craftsmen, with materials as diverse as Lego and coconut shells. I’m looking forward to my annual visit there to remind myself of the many different ways to tell a story. 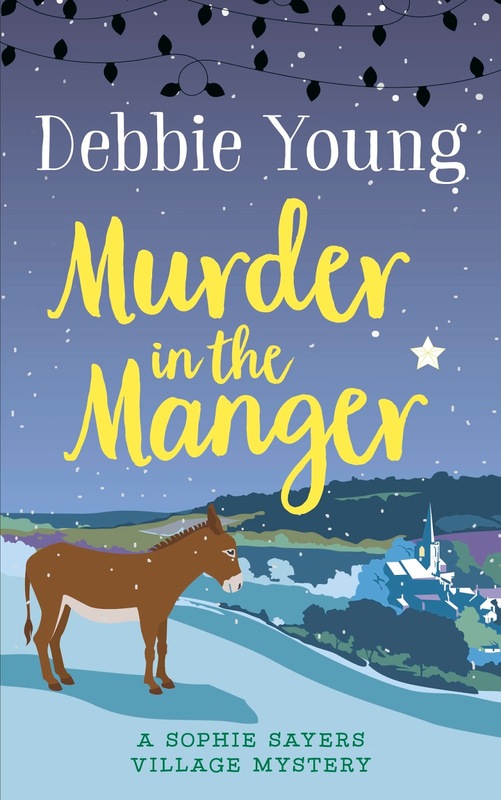 And if you’d like to find out what happens next in Murder in the Manger, you can order it from all good bookstores, on the High Street and online, in paperback or as an ebook. Sunday supplements’ suggestions for home improvements usually evoke hollow laughter in our house: the gift-wrapping room (who gives enough presents to justify dedicating a whole room to the activity? ); the return of wallpaper (at £1,000+ a roll); the subterranean swimming pool (like something from a James Bond villain’s lair). So the latest trend, the Book Nook, took me by surprise. As soon as I read about it, I wanted one. A cosy corner reserved for curling up with a good book, furnished with copious cushions and throws to keep you cosy while you escape into the pages of your current read. A Book Nook doesn’t require much investment, provided you can find a little space somewhere in your house. That may be easier than you think. We’ve just created one from a disused inglenook fireplace, previously used primarily as a repository for the cat’s bowls where we wouldn’t fall over them. Which leads me to suggest that the best way to identify a potential Book Nook in your house is simply to follow your cat. Cats like to hang out in cosy corners: wide, sunny windowsills, empty alcoves, the cupboard under the stairs, even the airing cupboard. What could be cosier? So our new Book Nook is where I’ll be heading in future when I want to lose myself in a good book, though I may have to fight the rest of the family, and probably the cat too, for the space. Once you’ve identified your nook, if you find you’re lacking a book, just head up to the Hawkesbury Stores for the solution to your problem. I’ll be filling the book corner, at the back right of the shop, with carefully selected second-hand books for all tastes and occasions, with all proceeds going to the Stores, alongside a collection of new books by local authors. The Lord Mayor of London’s proposal to abolish woodburners in the city’s Emission Zone should not have affected us out here in rural Gloucestershire, with our abundant supply of fresh air and local logs. I don’t know whether there’s a fuel equivalent to food miles, denoting how far a product travels from source to point of use, but the journey of some of the wood burned in our house can be measured in metres rather than miles. Even so, his announcement made me realise that it was time to replace my ancient woodburning stove with a more efficient, less polluting contemporary model. The stove itself had been hinting to us for some time that it was ready for retirement. Bits kept falling off it, and running repairs had become more frequent. By the end of last winter, we’d reached the point at which closing its multi-paned double doors had turned into a Chinese puzzle. Unfortunately, I’ve always been very bad at doing Chinese puzzles. The stove’s efficiency was also decreasing. This went against the (wood)grain in a household fitted with solar panels, supplied by electricity from sustainable sources (Ecotricity), and populated by habitual wearers of jumpers, thermals and boots throughout the winter. Considering that we’d bought it twenty-five years ago, second-hand, for £150, we didn’t feel it owed us anything. So we made for the nearest stove showroom, prepared to splash out. We plumped for the most environmentally-friendly woodburner on display, designed to burn wood at the optimum temperature for fuel efficiency, while minimising emissions and particulates. In short: more heat for less logs – and a conscience as clear as the new stove’s window. Now in pride of place in our inglenook stands a neat iron box with one large rectangular window in its single door. The stove’s size and shape remind me of the television we had when I was a child, and it’s just as compelling to watch. Its clever design keeps the glass forever clear, providing a constant display of flames and sparks from an ever-changing array of kindling and logs. It’s like having a Guy Fawkes’ Night display in the comfort of my own front room. But best of all, the fire works. I wish you a cosy November, however you choose to keep warm. We’re fast approaching the shortest days of the year, when in cloudy weather it feels as if it never really gets light at all. Successive days and nights meld into one long chunk of darkness, like a forgotten bag of boiled sweets that have congealed into a single, indigestible lump. I was therefore pleased to read in last month’s Parish News a call from Councillor Sue Hope to light up our windows on the evening of 9th December to coincide with the switching-on of Lee’s lights and the illumination of the Christmas tree on the Plain. Actually, I’ve been channelling my inner druid since about Halloween, turning on the string of coloured lights at the front of my house to brighten up dark evenings and drive away the SAD. By that I don’t mean repelling gloomy door-to-door salesmen, but Seasonal Affective Disorder, the form of depression induced by winter months. A few years ago, before peak Scandimania, there was a trend to display little wooden arches of electric lights, candle-style, in our front windows. The last couple of festive seasons, these seem to have all but disappeared, perhaps naturally extinguished as their bulbs failed and couldn’t be replaced. Such are lightbulbs, and such is life. Lighting up your windows on 9th December will be more than just an act of community. It’s an assertion that despite the darkness of these dreary winter days, we stand on the cusp of a whole new year of village life. All we need to do is keep the faith, and the sunny summer days that bring the Hawkesbury Show will roll round again, no matter how far off they might seem now. I wish you all a bright and merry Christmas, and a peaceful New Year full of life and light. When you reach a certain stage in life, it becomes nigh impossible to know what you’d like for Christmas. Once you’ve paid off your mortgage and got the kids into net profit, if you want something, you buy it for yourself, regardless of the time of year. Or at least you do if, like me, you are a spendthrift but with modest tastes. I’m in that happy stage between the habitual end-of-month overdraft of the heavily mortgaged and the mid-life crisis for which the prescribed cure is a sports car. Consequently, until yesterday, my Christmas wish list was blank. Then, walking instead of driving up the road to buy a few groceries, (my usual car habit done for the sake of speed – if only Father Christmas could bring me more hours in the day, I’d put them on my list every year), I realised I longed for an old-fashioned shopping trolley. Not the horrid trolley only ever seen in supermarkets and upside down in ponds; nor the aluminium, nylon-bagged kind; nor even the medically-oriented type with so many functions that it almost qualifies as a caravan: shopping bag, seat, balance aid. No, what I crave is the old-fashioned wicker basket on two wheels, pulled by a long wooden handle that looks like a walking stick sent out to work for its living. My grandmother, born in 1900, used hers on every expedition to her local shopping parade in the London suburb in which I grew up. Grandma’s trolley held just enough shopping for a few meals, plus a ball of knitting wool from her named box at Rema’s, the drapers. (We bought our jumpers in installments in those days.) She could always squeeze in a quarter of sweets from the sweetshop too. Her every-other-day shopping habit had been formed when food was bought in small quantities, fresh, dried or in cans, before the fridge, never mind the freezer, had become commonplace. When I shared a photo of such a trolley on Facebook yesterday, several friends confessed they wanted one too. We thought if we all acquired one, we might make them fashionable. After all, they do chime with the trend to shop local and on foot, rather than in a stressful supermarket sweep by car. But my Christmas present won’t just be a low-emission form of shopping transport. It will also be a time machine, taking me back to the days before globalisation, when a trip to the shops with Grandma meant me begging for a turn to pull her wicker shopping basket on wheels. Eagerly I’d clasp the wooden handle, burnished smooth by constant use, as were Grandma’s silken hands, stilled so long ago. Perhaps the imperative to shop local on foot isn’t the real reason that I want a wicker trolley after all. Whatever is on your Christmas list, I hope you’ve been good enough all year for Santa to oblige. And if not, there’s always 2018. Hello, Debbie! I wanted to drop by and wish you Happy New Year! And, reading the first part of your post reminded me that I did hear about power and communications outages in the Cotswolds (I read the BBC online) and was wondering if it affected you, so I got my answer. We actually got rid of an old and disconnected wood stove in our basement, and our county paid us to haul it out and recycle it! So that was pretty sweet. I hope you’re not getting hit too hard by SAD this year. I usually have a tough time with it, but am doing quite well this year, something which I attribute to learning about a gene mutation o’ mine, and subsequently adding 5-MTHF to my supplements. That’s all from my side of the world, where it’s actually sunny and quite warm, unlike other parts of North America. Feeling quite grateful for that. Hi Laura, and happy new year to you too! Lovely to hear from you, and I’m glad to hear you’re getting on top of the SAD. I’m sure that knowledge is power with illness, so it’s great that you’ve been researching it (a gene mutation as a cause of SAD – who knew?!) I’m glad you’ve got warm and sunny weather where you are – I keep hearing such horror stories of the fires and storms and floods in the States. My cousin’s family in NW Canada first got driven from their home by wildfires, and before long were snowed in at their place of refuge! How those early pioneers ever managed with the extremes in North America, I will never know – but at least they didn’t have global warming of Donald Trump to contend with. I’m thinking of Laura Ingalls Wilder’s “The Long Winter” here – we love our Lauras! 🙂 – and a new book I cam across recently called “Blizzard” by Cindy Rinamann Marsch, which is well worth a read (it’s a novella so a quick read). Looking forward to keeping up with you in 2018, wherever your travels take you!